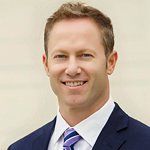 Mr. Josh Berg is an experienced healthcare and energy investment professional with over 23 years of institutional capital markets, investment banking, investor relations and equity investment management expertise. Mr. Berg is well-versed and skilled at identifying value at all stages of a corporate life cycle and specializes in strategically building institutional shareholder bases for multinational organizations. Mr. Berg’s institutional investor relationships collectively manage more than $300 billion in equity value. Mr. Berg also serves as Board Member, Ziyen, Inc. Prior to founding Berg Capital Markets, LLC, Mr. Berg developed expertise in institutional equities with bulge bracket and boutique healthcare centric investment banks including Leerink Partners, Wells Fargo Securities, and Pacific Growth Equities. Previous to Mr. Berg’s 11 years of investment banking experience, he facilitated the raise of over $2.0 billion in equity securities for Jurika & Voyles, LP, a value-based institutional equity investment management firm based in Oakland, California. Through Berg Capital Markets, Mr. Berg and his colleagues successfully deliver a robust, full-service capital markets solution for both public and private companies. Mr. Berg graduated with a Bachelor of Arts degree in Economics from the University of California at Santa Cruz. 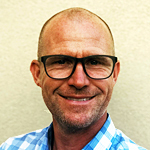 Mr. Berg currently lives in San Diego, California, and enjoys reading, traveling, working, cooking, working out, running, investing, and spending time with his children. Dean Holter is an attorney, serving as both General Counsel and Controller to Berg Capital Markets, LLC. Mr. Holter has many years experience serving businesses as both General Counsel and Chief Financial Officer or Controller. 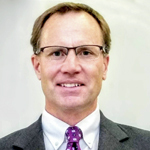 Prior to joining Berg Capital Markets, LLC, Mr. Holter served as General Counsel and CFO to Christensen Global Strategies, an international consulting firm whose clients include United Nations Foundation, Clinton Global Initiative, Duke Energy, FEMSA, and Microsoft, among other Fortune 500 companies. While at Christensen Global Strategies, Mr. Holter also served as the project lead in the successful purchase of several commercial scale solar projects in California and Oregon, contracting with Renewable Technology Development, one of the largest solar thermal developers in California, and Chromasun, a leader in solar thermal technology. Prior to Christensen Global Strategies, Dean served as the General Counsel and General Manager of Idaho Capital, a private collateralized real estate lending group. Mr. Aaron Gorin is an experienced healthcare investment professional with over 12 years of experience in strategic, financial, and operational analysis of public and private Healthcare companies. Mr. Gorin specializes in conducting due diligence, valuation analysis, market research, and strategic competitive analysis for biotechnology, pharmaceutical, and medical device companies. 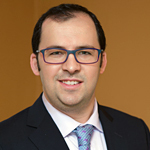 Prior to joining Berg Capital Markets, LLC, Mr. Gorin was a Healthcare Equity Research Analyst at Morgan Stanley and Bank of America/Merrill Lynch where he focused on Biotech, Life Science Tools, Diagnostics, and Healthcare Services companies, including both domestic and international equities, as well as cap ranges from $50m-$50b. During his tenure, Mr. Gorin was instrumental in initiation of coverage reports on several high profile IPOs, and was involved in analysis of highly complex situations including poison pill takeovers, contentious proxy battles, leveraged buyouts, and activist campaigns. Prior to that, Mr. Gorin was a management consultant and a venture capitalist focusing on Life Science Investments at a privately held firm in New York. In this capacity, Mr. Gorin screened and triaged hundreds of potential deal targets including both compound-related and company-related transactions for acquisition as part of a Venture Fund, and worked on projects presenting to C-level management at Top 10 Global Pharmaceutical companies. Mr. Gorin graduated from Cornell University with an Masters in Health Economics and Administration and a Bachelors in Economics. Mr. Gorin currently lives in New York City with his wife and five children and in his free time enjoys reading, chess, tennis, and volunteering for various non-profit and religious organizations. Dr. Grosu is the Founder and Managing Partner of GENOPRAXIS, LLC, a San Diego based specialty consulting firm dedicated to enabling the practical implementation of genomic testing technologies. He is an advisor to Berg Capital Markets on the Molecular Diagnostics industry. Dr. Grosu most recently served as Chief Medical Officer at Sequenom, Inc. until its acquisition by LabCorp, Inc. Previously, he was at Illumina, Inc., where he served as the Company’s first Chief Medical Officer. He established the Medical Affairs and Clinical Development functions at Illumina, and led the team that performed the clinical studies for the first FDA-cleared and CE-marked next-generation sequencing (NGS) IVD platform and IVD assays. Earlier in his career, Dr. Grosu held positions of increasing responsibility in the Diagnostics space at Siemens Medical Solutions, Bayer HealthCare Pharmaceuticals, and Johnson & Johnson. He holds an MD (with Distinction in Research) from Saint Louis University School of Medicine (Missouri, USA) and an MBA from the University of Oxford (United Kingdom). Nisha Hirani, M.D. is an experienced healthcare professional who serves as the Chief Scientific Advisor for Berg Capital Markets, LLC. 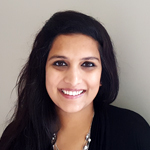 Dr. Nisha Hirani has over 8 years of experience as a healthcare consultant preparing proprietary client focused services including due diligence, valuation analysis, market research, and product research for biotechnology, pharmaceutical, and medical device companies as well as institutional investors. Dr. Hirani is also a contributing writer for platforms such as Seeking Alpha and StockViews. Previously, Dr. Hirani worked as a biotechnology research analyst producing institutional quality equity research for under-valued and under-followed healthcare, biotechnology and medical device companies. Dr. Hirani’s initiating coverage reports, research reports and articles have been featured on both institutional and retail platforms including Thomson Reuters First Call, Bloomberg, Wall Street Source, Yahoo! Finance, Fidelity.com, and Google Finance. In the past, Dr. Hirani has taught embryology, performed research in the area of optical mammography, and taught English as a Second Language (ESL) classes. Dr. Hirani graduated from Tufts University with a B.S. in Biomedical Engineering and B.S in Biology, and received her Doctor of Medicine (M.D.) degree from St. George’s University School of Medicine. She completed her clinical clerkships primarily through the Barnabas Health System located in the New York Metropolitan area. In her free time, Dr. Hirani enjoys tennis, canvas painting, volunteering for various non-profit organizations, and spending time with her family. Ms. Misrach Mitiku is Director of Business Development at Berg Capital Markets. Misrach is focused on client relations and alliance management. Misrach has over 20 years of broad Biopharmaceutical and capital markets industry experience including business development, equity research analysis and product development. Prior to joining BCM, Misrach was a Business Development Consultant at Protagonist Therapeutics, a $200 Million market capitalization clinical stage biotech company. Misrach was responsible in identifying and developing potential partners including BD outreach, managing the due diligence process, developing deal structures, and out-licensing agreements. Previously Misrach was Buy-side research analyst at EOS Holdings LLC, a $30 Million private hedge fund focusing in the Energy and Biotech sector. While at EOS Misrach cultivated strategic partnerships with dozens of industry experts, investors, analysts, and founders to source and generate profitable investment opportunities. Prior Misrach was an Investment Analyst at Maryland Venture (now TEDCO) a private equity and venture capital firm that makes direct investments to a seed stage companies in diagnostics, devices, therapeutics, healthcare equipment and medical testing. Misrach was responsible for developing an investment thesis, conducting due diligence, structuring and negotiating deal terms and agreements and partnering with other investment firms executing deals. Misrach has deep expertise in financial modeling, business intelligence, market research, commercial development, product planning and positioning for success in the clinical, marketing, and partnership opportunities. Misrach held Program Director, Scientist, and Sr. RA positions at The University of Maryland (School of Public Health), BioReliance Co. (now MilliporeSigma), VaxGen Inc., and Medimmune (now AstraZenecca). Her scientific work has been published in premier scientific journals, including the Journal of Virology. Since 2014, Misrach has served as an Advisor to entrepreneurs in California Life Science Association’s “FAST” advisory program in San Francisco Bay Area. Misrach holds an M.B.A (Hons) from the University of Maryland University College and B.S. in Biochemistry from the University of California Davis. Misrach currently lives in San Francisco, enjoys running, hiking, biking, traveling, cooking, wine tasting and spending time with friends and family. 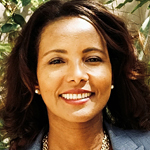 Dr. Ishoey joins Berg Capital Markets as a Principal Technical Advisor with extensive experience from development and commercialization of applied microbiology and biotechnology. He has managed all phases of technology development from concepts to large scale commercial partnerships including successful private fundraisings and public offering. Dr. Ishoey pioneered the use of micromanipulation of microbial size cells for whole genome amplification and genomic analysis from subsurface environments, marine sediments, soil, bioreactors and human biopsies to elucidate the host/environment interactions. In addition to his deep understanding of microbial genmonics, Dr. Ishoey’s experience also includes design, construction and operation of bioreactors and technology transfer to commercial production. Dr. Ishoey is currently serving as the Chief Technology Officer of Biota Technology. Prior positions include Vice President of Synthetic Genomics and Chief Technology Officer of Glori Energy. Dr. Ishoey holds a master's degree in chemical engineering and a doctorate in biotechnology, both from the Technical University of Denmark. He has also worked as visiting researcher at University of California, Los Angeles (UCLA). 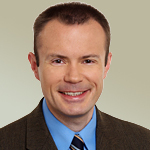 Mr. Patrick Murchison is a Capital Markets Analyst with Berg Capital Markets, LLC. 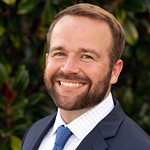 Mr. Murchison is uniquely qualified and utilizes his advanced Microsoft Office coding skills to create data-rich analytical frameworks and visualizations that can be appropriately optimized for each stakeholder group’s preferred level of analysis. With deep investment management and investment banking experience, Mr. Murchison has an extremely strong background in finance and operations. As an analyst with BCM, Mr. Murchison assists the firm and its clientele with market research, valuation, and competitive analysis with the ultimate goal of helping management teams view both granular and high-level goals at the operational level. Mr. Murchison graduated from Louisiana State University with a Bachelor of Science in Finance. Mr. Murchison currently lives in New Orleans, Louisiana and enjoys LSU sports, chess, philosophy, computer coding, and racquetball. The contents of this website: (i) do not constitute an offer of securities or a solicitation of an offer to buy securities, and (ii) may not be relied upon in making an investment decision related to any investment offering by Berg Capital Markets, LLC, or any affiliate, or partner thereof (“Berg”). Investment offerings and investment decisions may only be made on the basis of a confidential private placement memorandum issued by Berg Capital Markets, LLC, or one of its partner/issuers. Berg Capital Markets, LLC does not warrant the accuracy or completeness of the information contained herein.